What do Baton Rouge back pain sufferers desire when they seek Baton Rouge back pain care? Back pain relief. How much Baton Rouge back pain relief do they expect? 100%? 50%? That percentage differs with the back pain patient’s experience and preceding care. First time back pain sufferers many times expect 100%. A veteran back pain sufferer who has had a few back surgeries, some spinal injections, many doctors and therapists may well be thrilled with 50% or even 30%. Capitol Spine & Rehabilitation welcomes all these Baton Rouge back pain patients and shares what the spinal research literature documents as realistic outcomes of Baton Rouge back pain treatment and specifically Baton Rouge chiropractic outcomes of care using the Cox® Technic System of Spinal Pain Management. How much improvement do you expect from your back pain treatment? 30% is reported to be “clinically relevant.” Is that adequate for you? Medical literature describes the “minimal clinically important difference” of treatment to be the smallest change in status a patient feels is meaningful to him or her. That difference is defined as 30% improvement in self-reported pain or function by a study of 743 patients. In another study of 609 back-related leg pain and sciatica patients, good outcome is described as 30% reduction in disability. 55% stated such improvement at 12 months of care. The expectation of 5443 patients who had spine surgery for lumbar spine degenerative disc disease for pain and disability reduction was met for 64% at 12 months post-surgery. However, satisfaction decreases as disability goes up. Realistic expectations of back pain treatment are communicated to Baton Rouge chiropractic patients at Capitol Spine & Rehabilitation when the treatment plan is arranged. In following the protocols of the chiropractic technique, Cox® Technic, under the care of Drs. Gerald and Latresia Bell at Capitol Spine & Rehabilitation aim for 50% relief of pain in 30 days…and we don’t feel that is too lofty a target! Cox® Technic physicians like yours at Capitol Spine & Rehabilitation find higher percentages of improvement for many Baton Rouge back pain patients. With 50% relief, which for many patients comes in just a couple visits to a couple weeks, Baton Rouge chiropractic treatment continues without a surgical consult or advanced imaging (except if progressive neurological deficits appear or cauda equina is present). 50% relief is often a timely relief for Baton Rouge back pain patients looking for a return to a quality of life that is satisfactory. This might involve walking the dog or going to the mailbox. Capitol Spine & Rehabilitation strives to help patients achieve realistic and maintainable outcomes of care. Schedule your next Baton Rouge chiropractic appointment today.Capitol Spine & Rehabilitation anticipates meeting patient expectations of Baton Rouge back pain treatment (be they 20% or 30% or 50% or more!) 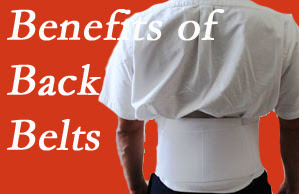 as well as realistic expectations of back pain relief for each individual spine. WHAT TO DO ABOUT BACK PAIN? Many healthcare professions are setting forth recommendations for their respective practitioners to follow when delivering health care. They hope to open conversations between patients and their healthcare providers and among healthcare providers themselves. Back pain is a huge health issue affecting 80% of us at some point in life. 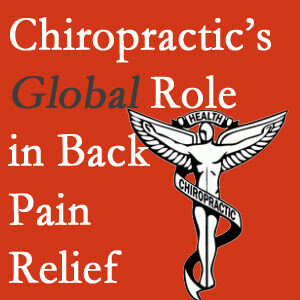 Back pain is managed by many types of physicians in many types of societies. Their societal recommendations are similar regarding (1) imaging (Don’t do imaging within the first 6 weeks of pain unless there are “red flags.”), (2) trying non-surgical care before imaging and/or referring for back surgery, and (3) moving the patient care from passive care to active care. More specifically, the American Academy of Physical Medicine and Rehabilitation recommends not ordering repeat epidural steroid injections without checking for the response to the last one and not prescribing opioid drugs for acute disabling low back pain without evaluation and a trial of other alternatives. (2) The American Chiropractic Association recommends not performing repeat imaging to monitor progress of care, not obtaining spinal imaging for acute low back pain in the first 6 weeks of pain unless there are red flags, and avoiding long term use of passive care but instead move the patient to active care. (3) The American College of Emergency Room Physicians recommends avoiding lumbar spine imaging in non-traumatic back pain unless there are severe or progressive neurological deficits or a suspicion of an underlying condition. (4) The American College of Physicians recommends not obtaining imaging studies in patients with non-specific low back pain. (5) The North American Spine Society recommends not suggesting bed rest for more than 48 hours for low back pain, not using EMG studies to determine the cause of spine pain, and not doing advanced spinal imaging (ex MRI) in the first 6 weeks of non-specific acute low back pain without red flags. (6) The Danish Health Authority recommends not referring patients for back surgery for a lumbar disc herniation with radiculopathy unless the severe and debilitating back pain persists for 12 weeks despite non-surgical treatment. It’s up to you, the back pain patient or concerned loved one, to choose wisely the course of care for back pain relief. 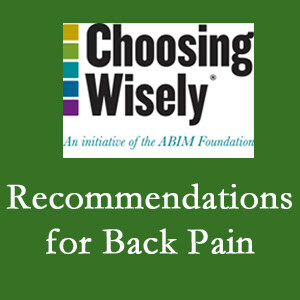 Use these professions’ Choose Wisely recommendations for back pain care to start a conversation with your chiropractic physician about the best plan for you. Chiropractic spinal manipulation is recommended for at least 12 weeks before referral for spine surgery for lumbar disc herniation. The American Medical Association, the American Pain Society, the American College of Physicians and Harvard Medical School all state spinal manipulation and chiropractic are first line care for low back pain. Did you know that? Probably not because it requires many years for such up-to-date, proven ideas to filter to common knowledge. There are even people who (not our Baton Rouge chiropractic clients!) deem chiropractors are quacks when actually chiropractors are non-surgical back spine specialists. Your Baton Rouge chiropractor at Capitol Spine & Rehabilitation surely is the Baton Rouge back pain specialist! Capitol Spine & Rehabilitation welcomes back pain, neck pain and spine pain patients to our Baton Rouge chiropractic office, especially the more difficult cases! For example, patients who have recurrent lumbar disc herniation are found to respond to non-surgical care and evade the need for reoperation. Reports assert that from 9 to 33% of people receive spinal manipulation for pain and disability and 98% of those people see chiropractors. The call for chiropractic spine care is increasing. A majority of neurosurgeons consider a minimum period of 8 to 12 weeks of radicular arm pain is the optimal timing before performing surgery for cervical spine disc herniation. What can such a Baton Rouge neck pain patient do? Chiropractic care at Capitol Spine & Rehabilitation is an option for pain relief. Another such study reported that no conclusion is drawn as to whether surgical or nonsurgical treatment is superior for individuals with lumbar spine degeneration of discs initiating the condition termed stenosis. Further, a high rate of adverse effects is reported in three of five surgical groups while no side effects were described for any of the conservative treatment options. A second opinion before spine surgery is a good idea. A study of 137 patients proposed to have lumbar spine fusion at one institution found on second opinion at a multidisciplinary clinic that 58% did not need surgery but rather non-surgical treatment. Of those found to require surgery, the type of surgery was changed in 28% of the patients. Chiropractic spinal manipulation as used at Capitol Spine & Rehabilitation has vast success in relieving low back and neck pain and leg and arm pain. Capitol Spine & Rehabilitation uses a spinal manipulation technique known as Cox Technic Flexion Distraction Decompression which integrates placing the spine under distraction to decompress nerves permitting normal spine motion to return. An example is a paper describing how flexion–distraction spinal manipulation used to relieve an L4-L5 disk extrusion causing L5 nerve root radiculopathy in a 40 year old naval officer. A report of 674 emergency room adult visits revealed that 500 (74.2%) patients had received care from at least one mind body practitioner (MBP), defined as a chiropractor, acupuncturist, yoga, or meditation practitioner. People seeking such care were significantly younger and tended to have private health insurance. 33% saw a chiropractor. Such healthcare consumers were much more apt to believe that MBP inhibited illness, treated illness, and was safe, more successful than prescription medicines, supportive of prescription medications, and more holistic. Schedule a Baton Rouge chiropractic appointment with Capitol Spine & Rehabilitation as you come to realize that chiropractors – like your Baton Rouge chiropractor, a true Baton Rouge back pain specialist – are appropriate for the non-surgical treatment of Baton Rouge spine pain and disability. Medicine now recommends spinal manipulation, chiropractic’s specialty, as first line treatment for spine pain. Here at Capitol Spine & Rehabilitation, we rely on the researcher Nachemson’s documentation of the amount of pressure on your spine when in various positions: standing, sitting, moving. For this discussion on sitting, see that sitting straight exerts 140 pounds of pressure on the spine. Sitting slouched forward exerts 185 pounds of pressure. Sitting slouched forward holding weight (like a purse or baby) increases the pressures to as high as 275 pounds. Getting up to stretch drops pressure to 100mm in the standing position, so get up periodically to drop the pressure!